A merger between Advocate Health Care and NorthShore University HealthSystem would give the Chicago-area systems leverage to raise prices, a Blue Cross and Blue Shield of Illinois executive testified in federal court Tuesday. Brass with Northwestern Memorial HealthCare in downtown Chicago also testified that they do not consider NorthShore or Advocate to be major competitors. The Federal Trade Commission did not include Northwestern in the system's potential post-merger market—a point of contention in the case. The testimony came on the second day of a hearing over the FTC's request for a preliminary injunction to stop the merger. The FTC typically abandons challenges if it can't get a preliminary injunction. And NorthShore and Advocate have said in administrative court documents they will likely give up on their merger if the FTC wins. The hearing will likely last into next week, and a decision is expected in coming months. The proposed merger is one of the largest hospital deals the FTC has challenged and follows a series of government victories in such cases. Many are watching the Chicago case closely, as hospitals continue to merge in what they say is an effort to boost quality and lower prices. But critics claim that is a tactic to increase their negotiating power with insurers and raise prices. The FTC alleges that in the NorthShore/Advocate case, a merger would lead to higher prices and lower quality care. Federal regulators say the combined systems would control 60% of general-acute inpatient hospital services in Chicago's north suburbs. They say it would be the 11th largest hospital system in the country. The systems however maintain that the FTC misidentified their market, partly by leaving out competing hospitals such as Northwestern. They say post-merger market share would be closer to 28%. The systems contend they must merge to offer a new insurance product that would be priced 10% lower than the lowest comparable priced product. They say Chicago consumers would save $200 million to $500 million a year. On Tuesday, attorneys for both sides spent the morning questioning Steve Hamman, a senior vice president of provider partnerships and enterprise network solutions for the Health Care Service Corporation, which is the parent company of Blue Cross Blue Shield in Illinois. "The combined entity of Advocate, NorthShore would have much greater bargaining leverage in negotiating," Hamman said, responding to FTC attorney Kevin Hahm. But in a line of questioning by Advocate attorney Robert Robertson, Hamman acknowledged that the Blue Care Direct HMO that Blue Cross offers with Advocate has been successful in improving quality and lowering costs, and it would be a positive if NorthShore were to join that product at the same price point. Hamman said that Blue Cross would prefer that Advocate remain a provider rather than become an insurer. He said the possibility of Advocate getting an insurance license itself poses a “small threat” to Blue Cross. Attorneys then spent the afternoon focusing on whether Advocate and NorthShore's market should include Northwestern, which the systems say would be a game-changer in the case. Northwestern considers its main competitors to be other academic medical centers, such as Loyola University Medical Center in Maywood, Ill., and Rush University Medical Center and the University of Chicago Medical Center, both in Chicago, said James Dechene, Northwestern's senior vice president and general counsel. Those hospitals offer the same types of complex, intense services as Northwestern, such as transplants, neurosurgery and open-heart surgery. About 5% of patients admitted to Northwestern Hospital come from the near north and far north Chicago suburbs where Advocate and NorthShore operate, Dechene said. He said patients prefer to receive inpatient services near their homes. He also said a potential merger between Northwestern and Centegra Health System in northwest suburban Crystal Lake, Ill., would not help Northwestern compete in those near north and far north suburbs. But upon cross examination by David Dahlquist, an attorney representing NorthShore, Dechene acknowledged that Northwestern has described the merger as a threat. Dahlquist also quoted a document in which Northwestern CEO Dean Harrison stated that many patients come from northern communities for routine care. The hearing will continue Wednesday, at which point NorthShore CEO Mark Neaman and Advocate CEO Jim Skogsbergh are scheduled to testify. Both were at the hearing Tuesday but did not have a chance to testify before the day ended. A similar FTC challenge is ongoing in federal court in Harrisburg, Penn. 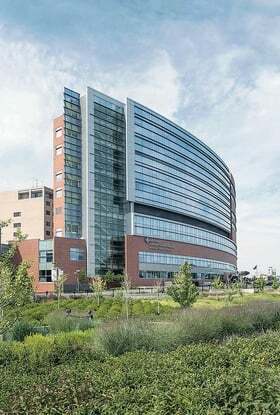 The Pennsylvania hearing is over a proposed merger between Penn State Hershey Medical Center and PinnacleHealth System.